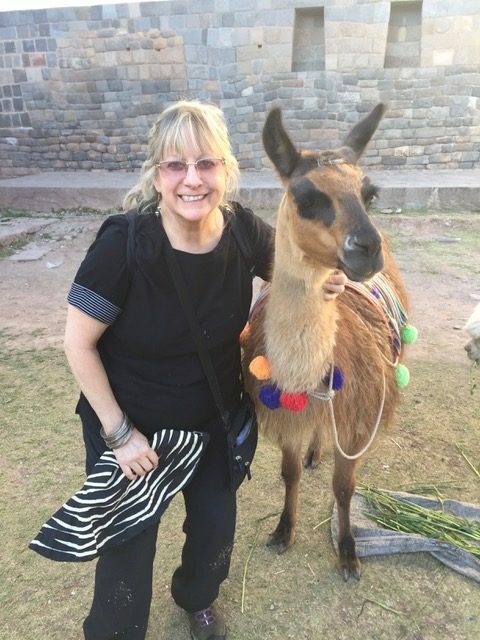 Gina Henry led a group on a tour of Machu Picchu last summer, so she booked her airfare from Houston using AAdvantage miles. She also used miles to upgrade to business class when she saw seats were limited, and instead got a surprise bump up to first class for part of the trip. Class of service: Business class on departure (with an upgrade to first class on the flight from Houston to Miami). She returned in coach class. A: I had a 20-hour delay in Lima on my return flight due to mechanical problems, but I was able to enjoy the Priority Club at the Jorge Chavez International Airport because I have the Chase Sapphire Reserve®, which comes with lounge access. I was able to enjoy the lounge’s beds, showers, food and beverages. A: I traveled alone. This was my eighth trip to Peru. I love it there. Hiking Machu Picchu is incredible, so I started a tour business where I take people to see Peru and it pays for my trip. Q: What loyalty program and card did you use to get a free trip? A: American Airlines AAdvantage program and the CitiBusiness® / AAdvantage® Platinum Select® World Mastercard®. Q: How long were you a member/cardholder at that time? A: I have been a member of the reward program since 1984, and I have had Citi-American Airlines cards on and off or the past 20 years. I had the current Citi card for one year. A: It took me two months to meet the welcome offer for the CitiBusiness® / AAdvantage® Platinum Select® World Mastercard®. The current welcome offer is: For a limited time: Earn 70,000 American Airlines AAdvantage® bonus miles after making $4,000 in purchases in first 4 months of account opening*. I already had 258,000 miles in my AAdvantage account, but I like to earn more when I’m about to redeem so I always have a nice stash of miles for future trips. A: Ease of use when earning points and booking rewards. A: Yes, I signed up for a new CitiBusiness® / AAdvantage® Platinum Select® World Mastercard® and took advantage of the welcome bonus. A: I tried to book online, but could not get a coach seat assignment. Fearing that would mean flying in the middle seat, I called the airline and asked how many points were needed to fly business class. They said 10,000 extra points (20,000 each way in coach). I felt the 10,000 extra points for business class was a great value and booked it on the phone with no booking fee involved. A: A total of 50,000 points (40,000 points for coach plus 10,000 points for the Houston-Cusco upgrade to business class). Q: Any bonus upgrades or surprises? A: I received a free upgrade to first class on the Houston to Miami flight because there was no business class. The airline also emailed me a menu for the flight and I was able to pre-order a gluten-free meal, which was a sirloin steak, asparagus and a salad. I was the envy of the others in first class as their meal was pasta. I’m saving points for a trip to Colombia, Ecuador and Peru in July 2019, and a trip to Israel and Ethiopia in 2020.